Based on stories from "The Arabian Nights", a handsome prince rides a flying horse to far-away lands and embarks on magical adventures which include befriending a witch, meeting Aladdin, battling demons and falling in love with a princess. The film’s director, Lotte Reiniger, was a pioneer of early cinema and animated film, and a standard-bearer for women in the industry. Her hypnotic films, painstakingly crafted out of snippets of card and wire and animated by hand, have influenced generations of film-makers and artists. 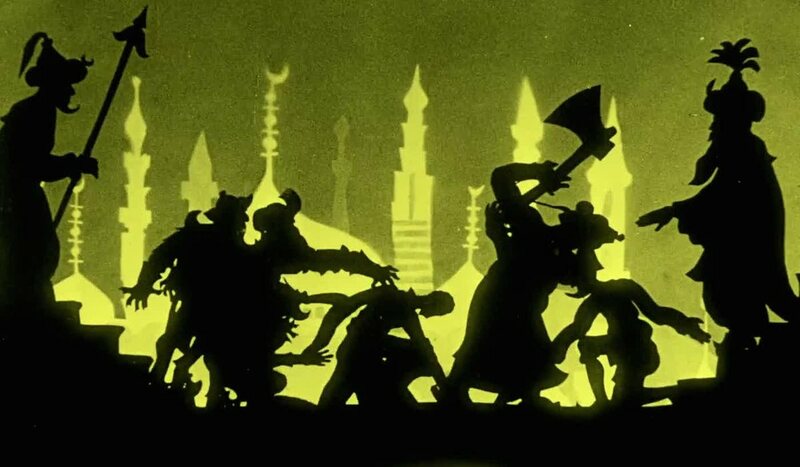 “The Adventures of Prince Achmed” is the world’s first animated feature film, a whirlwind of a fantasy filled with innovation and beauty that still has the power to capture the hearts of contemporary viewers. 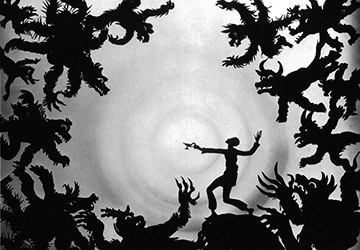 The music for “The Adventures of Prince Achmed” is based on simple/thematic improvisational elements using as a model the simplicity and warmth of Reiniger’s technique but at the same time enhancing her avant-garde side as well as her gentle and fanciful nature. Ethereal sounding trumpet combined with warm, deep sounding double bass, and rhythmical, crisp and colorful percussions will enrich the viewer’s experience. Together with the fluid, bouncing animation, the ingenious backgrounds and the intricacy of the blacked scissored figures, the music will bring the overall experience to deep emotional levels. 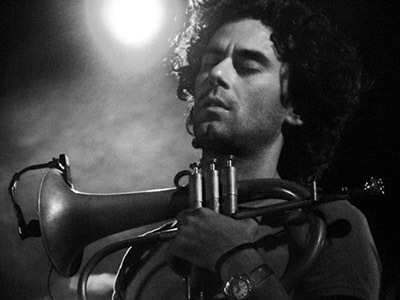 Andreas Polyzogopoulos (Greece) is a composer and trumpet player. He moved to the Netherlands in 2002 and studied at the Conservatorium van Amsterdam. He also took lessons from Markus Stockhausen and Angelo Verploegen and followed a workshop with Paolo Fresu in Sardegna. While studying in Amsterdam he plays with various multi-ethnic groups and in 2006 he forms “Poly Quartet”, a group that performs own compositions. In 2008 the band records the album Perfumed Dreams and wins the first place in 'Motives for Jazz' competition in Belgium. The same year he graduates from Conservatorium van Amsterdam and returns to Greece. He appears on 60 records, has performed all over Greece and Europe and in 2010 was a member of the European Youth Jazz Orchestra. In 2013 he recorded an album with songs of his favorite rock band and all-time inspiration Pink Floyd (Heart Of The Sun – The Music Of Pink Floyd) and toured around Europe and in New York City. Andreas collaborated with Jaques Morelembaum, Tore Brunborg, Michel Portal, Gunter Baby Zomer, Markus Stockhausen, Tony Lakatos, Psarantonis, Savina Yannatou, maria Farantouri, Dulce Pontes, Serge Teyssot Gay (Noir Desires), Anne Paceo, Marc Buronfosse, Kostas Theodorou, Yiorgos Kontrafouris, Mode Plagal among others. In 2014 Andreas brings a new band together playing his newest compositions. The record released in 2015 is called “Anicca” and the Mediterranean sound is more present in the sound of the band. 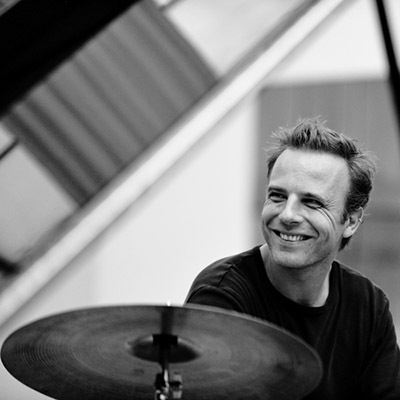 Teun Verbruggen (1975) first picked up the drums by the age of eight. After two summer courses with drummer Dre Pallemaerts he went to the Conservatory Brussels where he was taught by Hans Van Oosterhout. Since graduating from this school in 1999, he became one of the most in demand sideman in lots of different bands and musical styles in no time. His search for a personal touch and wanting to explore all possibilities of playing music and drums, his lack of boundaries and styles and trying to find fresh sounds and freedom in collective improvisation made him work with: Alexi Tuomarila 4tet and Trio, Jef Neve Trio, FES, VVG trio Karanova. He worked as a sideman and leader with musicians such as Paolo Fresu, Uri Cain, Erwin Vann, Jean Phillippe Viret, Hilmar Jennson, Ernst Reyseger, Jimi Tenor, Toots Thielemans, Fred Vanhove, Trevor Dunn, Magic Malik, Shelley Burgon, Andrew d’Angelo, Fred Vanhove, Marc Helias, Giovanni Mirrabassi, Edouard Ferlet, Eric Vloeimans, Benny Lackner, Anton Goudsmidt, Harmen Fraanje, John Watts, Matts Eilertsen, Michel Hatzi, Louis Clavis, Peter Hertmans, Natalie Lorriers, Diederik Wissels, David Lynx, Bart Defoort, Kris Defoort, Arif Durvesh, Kevin Armstrong, Pierre Vervloesem, Bart De Nolf, Manu Hermia, Sal La Rocca, Erik Vermeulen, Antton Walgraeve, Tom Wolf, Monsoon, Pieter Embrechts, Point Zéro, Cesarius Gadzina, Marco Locurcio,jacques Pirroton, Steve Houben, Melanie de Biasio, Toine Thys, Nic Thys, Hein Van de Gein. Teun is constantly touring with his various projects. Teun has his own record label called RAT Records that releases very innovative music. 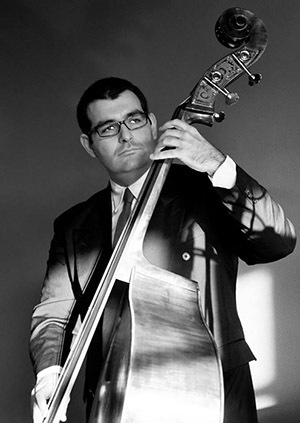 Vasilis Stefanopoulos (Greece) specializes in classical and jazz double bass and has been active in music since an early age. In Greece, he studied bass guitar with Andreas Georgiou and double bass with Heracles Soumelidis at the Municipal Conservatorium of Patras. He later studied at the Royal Conservatorium of The Hague, receiving bachelor degrees in jazz and classical double bass, and a masters degree in jazz. During his time at the conservatory, he studied with Hein van de Geyn, Frans van der Hoeven, Uli Glassman, Tony Overwater, Jean Paul Everts, Knut Guettler and Quirijn van Regteren Altena. Vasilis performs professionally as a classical and jazz player, both touring and recording in various combos and styles of music. He appeared as a soloist with Hellas Orchestra of Patras, won the International Jazz competition "Motives for Jazz" with the Poly Quartet, in Hasselt Belgium, and performed with the world famous guitarist George Benson at the North Sea Jazz Festival for A Tribute to Nat King Cole. He also is a member of the Ensemble Modelo62, which focuses on contemporary and experimental music. Vasilis tours in jazz clubs and festivals around the world, in countries such as The Netherlands, Belgium, Greece, Italy, Portugal, England, Norway, Germany, France, USA, Argentina, Mexico, Sao Tome and Principe and China. Vasilis has appeared with George Benson, Michel Portal, Tore Brunborg, among others.